We use a range of lenses including bifocal lenses , extended depth of focus lenses and trifocal lenses from Zeiss and Symfony lenses from AMO. Each of these lenses have different characteristics of focal range, depth of vision and quality of vision and their suitability depends on your own circumstances, your eye examination, preference and surgeons advice. Each case is assessed individually and a joint decision made as to the choice of lens. 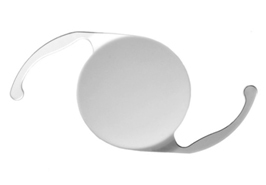 We use a range of lenses including bifocal lenses from Oculentis, trifocal lenses from Zeiss and Symfony lenses from AMO. Each of these lenses have different characteristics of focal range, depth of vision and quality of vision and their suitability depends on your own circumstances, your eye examination, preference and surgeons advice. Each case is assessed individually and a joint decision made as to the choice of lens.